Hassinen Veljekset Oy is a Finnish family company specialised in manufacturing hose guards, forestry equipment and boating accessories. Our factory at Ilomantsi, Northern Karelia, has been operating since 1989. It is important for us to provide you high quality, durable and safe equipment for the most demanding tasks. HAVEL plastic hose guards efficiently protect hoses and electrical wires from external wear, friction and dents. Track tensioners and chain tools, stump grinders, concrete mixer blades and rubber blades are designed and tested together with the users. Located in Ilomantsi, Hassinen Veljekset Oy is a family company whose roots go back to more than 50 years in forestry machinery. Since 1989, our company has developed and manufactured products for various industrial applications as well as for private consumers. The world-renowned hose guards are made in our plastics workshop. Tools and equipment for machinery contractors are found under the Mechanics brand. Ranturi, on the other hand, includes equipment for boating and tools for the summer cottage. The Mechanics and Ranturi products are high-quality products from our own metal workshop. Currently, HAVEL exports its products to a few dozen countries, mainly to Central Europe. Manufactured with the compression method, the HAVEL hose guard was our first and therefore our oldest product. Hose guards are also the main product we sell in Finland and abroad. Made from HDPE plastic, these hose guards can efficiently withstand solvents and temperature variations. HAVEL hose guards can be customised with the customer’s own logo and colour, to strengthen the brand appearance. Our largest customer groups include machinery manufacturers and hydraulics businesses. The Ranturi boat racks and docks have been manufactured since the early 90s, and are also some of our oldest products. In addition to the Ranturi products, we now also manufacture KlapiMaster firewood processors, all designed for the private houses and summer cottages in Finland. In addition to the hose guard and the Ranturi products, various kinds of machines and equipment have been added to our product range, sold in Finland and abroad. 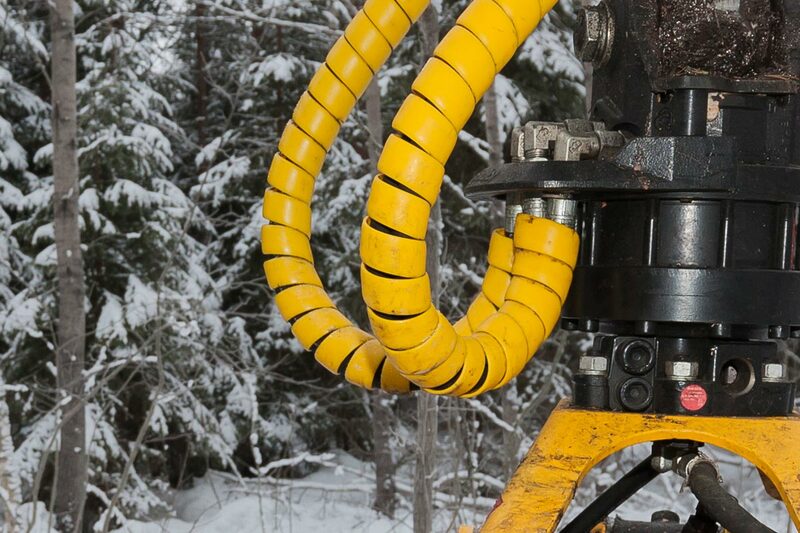 Track tensioners have established a strong foothold among forestry machine manufacturers and operators. Our latest products include stump grinders that can be fitted on excavators, and concrete mixer blades and slush blades made from recycled rubber. As is characteristic of the Finnish nature, one of our most important values is reliability. As a family business, keeping our promises is a matter of honour. Ever since our company first started out, quality has been one of the most important cornerstones of our business. We are constantly improving our operating methods so that the end result would be as good as our visions. Our production, storage and customer service solutions have been designed so that we are able to serve our customers’ needs flexibly. We constantly attempt to develop our products and services to be even more customer-orientated, because we believe that customer satisfaction is the key to sustainable business operations. Since the year 1989, HAVEL has worked hard to become a reliable partner, establishing a strong position among its customers. The company was established by two brothers, Seppo and Timo Hassinen. Back then – and even now – the hose guard was the main product of the company. The first hose guards were developed. The beginning of the manufacturing and sales of Ranturi boat racks. HAVEL started foreign trade. The company acquired its first foreign customers at the Elmia exhibition in Sweden. 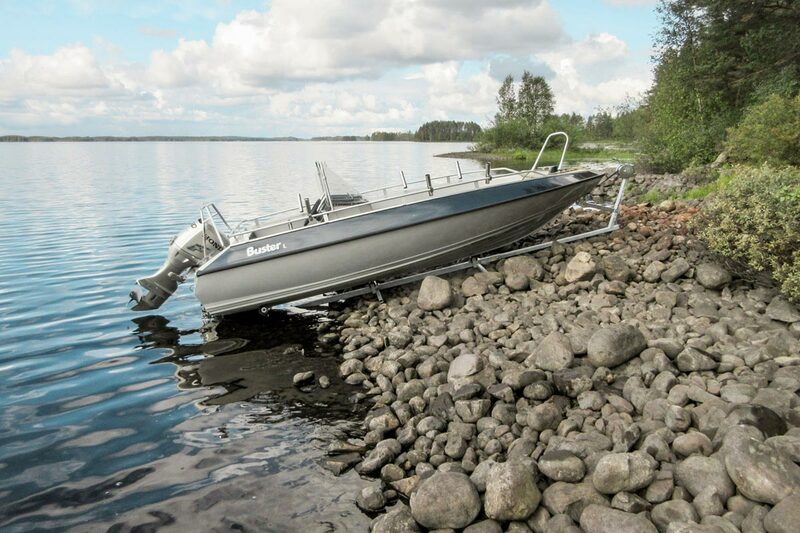 Alongside Ranturi boat racks, the company started manufacturing Ranturi docks, perfect for shallow shores and heavy-duty boats. The company type changed as the business grew. The manufacturing of track and chain tools for forestry machines began. Seppo’s children, Mika and Suvi Hassinen, became part owners of the family company. 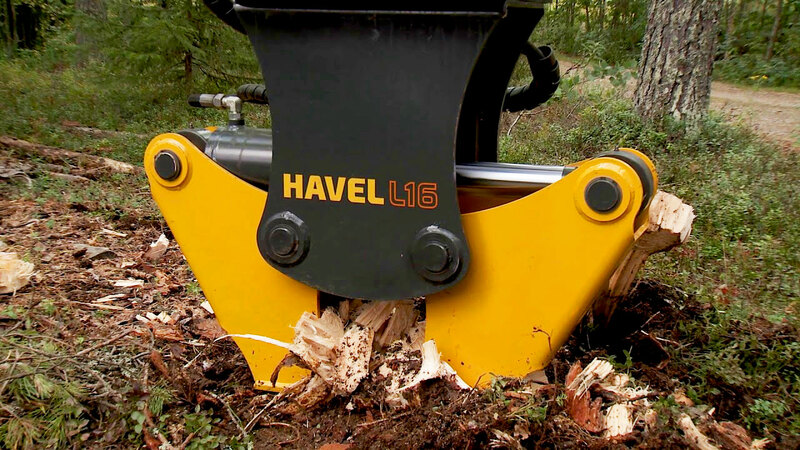 HAVEL expanded its product range with a new product group, starting to develop and manufacture stump grinders. Through a business acquisition, HAVEL expanded its business operations and started manufacturing products from recycled rubber. A new model, the L16, was developed for the stump grinders. Hose guards became available in multi-coloured versions and with customised logos. Hassinen Veljekset Oy was established by 1989, by the brothers Seppo and Timo Hassinen. Already back then, both had several decades of experience with forestry machinery, and at the time the company was founded, Seppo moved from the cabin of a forestry machine to a full-time position with the company, while Timo continued working on forestry machinery. The company was known under the name Hasvel at the time, manufacturing Ranturi boat racks exclusively for the domestic market, as well as hose guards, still the main product of the company. HAVEL started exporting in the mid-90s, and products are currently exported to about 20 countries, mainly in Central Europe. Over the years, HAVEL’s product range has expanded, and the company’s business operations have been divided into three segments: Spiral, Mechanics and Ranturi. In 2014, Seppo’s children Mika and Suvi, who had been working for the company for a long time, became part owners of the family company. Just like in the early days of the business, HAVEL continues to develop its products and services at their Ilomantsi factory, to meet the changing needs of their clients.